Did the garage door sensor fail? We can fix it. Locked out because the garage door doesn’t open? Call Us. Caught in the rain because the garage door remote didn’t work? Scratched the top of your car due to faulty garage door alignment? Concerned about your belongings because the garage door is stuck? A1 Garage Door Service understands you need your garage door to work every single time. If it doesn’t, you're faced with a rather large inconvenience. Your garage door is an access point into your house and you want it to work flawlessly every time. We are here to help you make this a reality, contact us today. 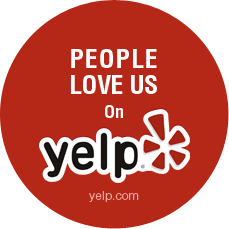 We welcome you to read our Yelp and TrustLink reviews.